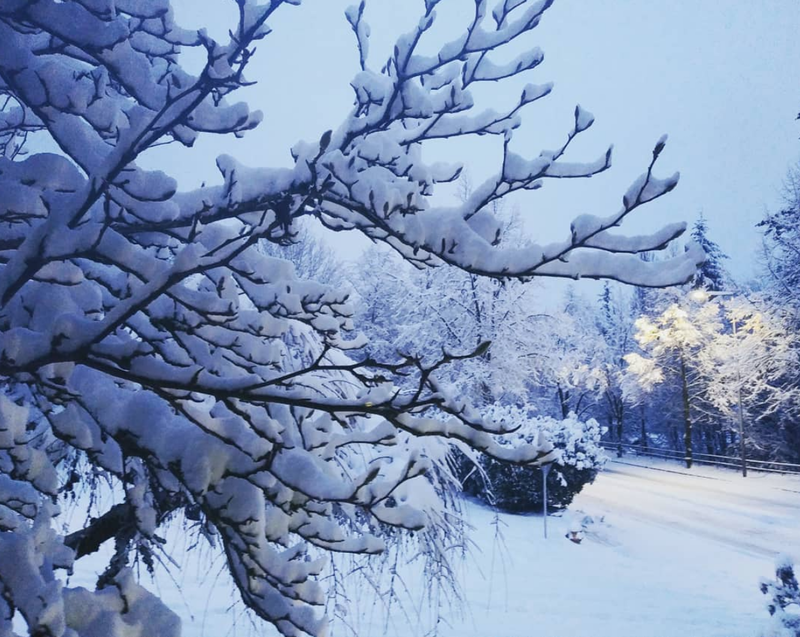 After a series of dire warnings by meteorologists, Seattle got hit with about a foot of snow this weekend. Before you Easterners start scoffing at our snow wimpiness, please understand some fundamentals: Seattle is chock full of hills, we have no snow removal equipment, the snow here is heavy and wet and it freezes stubbornly onto said hilly roads, and we’re banned from using salt due to the environmentalists that pervade our city. Seattle is crippled by this sort of event. 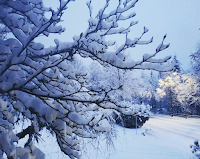 Having grown up mainly in Alaska and Upper Michigan, I fully admit that I too, was a Seattle snow-scoffer for a long time. It took me years to get used to the fact that there was no winter out here and that the seasons aren’t really distinct, and it took me even longer to realize why people got so hysterical at the rumored sight of a single, lazy snowflake floating to the ground. It’s because Seattle grinds to a screeching halt the minute that snowflake multiplies and sticks. I’ve now lived here long enough that I am fully inculcated into the Seattle mindset and find myself as equally panicked as everyone else at the forecast of snow. I, who once prided myself on being tough and surviving numerous Upper Michigan winters, am now just another temperate-acclimatized Seattle sissy. Not only that, I also unwittingly participated in a Lord of the Flies-like grocery store run to stock up on supplies about an hour before the snow really hit on Friday. I never want to see the inside of a grocery store again. That was traumatic. There were no potatoes and people were really mean. If a real crisis ever hits, I’ll probably just opt to starve to death. To keep myself amused during my snow-bound weekend, I downloaded a silly, fun and oddly compelling game called “Dealer’s Life”, where one plays the owner of a pawn shop. The entire game revolves around buying and selling questionable items from a sketchy customer base, beating back your sleazy competitor from across the street, and trying to build up enough capital to buy a better store. When Mr. Typist saw what I was doing, he immediately stood behind me and started directing my negotiations: “No way, tell him it’s $505 and that’s you’re final offer. Don’t let him intimidate you.” “You’re not paying anywhere near $200 for that piece of crap.” This went on and on until he finally gave in downloaded the game for himself. Within a day, he had multi-millions in capital and a veritable pawn-shop empire, where I was still struggling along at the around the $20,000 mark, unable to get ahead and expand. I didn’t want to do it, folks, but finally, I had to. I said, “Sweetie? You know I’m a strong and independent woman and all, but--" to which he interrupted, “What can I open for you?” I explained that this time it wasn’t a pickle jar, it was the game. I needed to know his trick. The magical key to his pawnshop success. I wanted a piece of that empire, and I needed him to show me his technique. It turns out, in gaming, as in life, I was being far too risk-averse. He succeeded by taking huge risks, going for the big buys, and aggressively negotiating--all behaviors that make me want to break out into thin layer of sweat when I think of applying them to myself. However, I am going to go back to the game with a renewed, rapacious approach. Perhaps it will bleed over into real life at some point and I’ll stop getting walked on like a used Persian carpet appraised at $7,000. I have not gotten the shooting blog up and running yet, mainly because I have been weirdly hung up on what to title it, but I will get it going soon. In the meantime, I was heartened to discover this weekend that my dad, with whom I share genetic material, got a marksmanship award in the military! I was so excited about this. I had no idea. This somehow never came up until I got an e-mail from him this week. I’m proud of him, but mostly I am heartened to know that I may not be completely hopeless. I am the daughter of an award-winning marksman! This means that I can possibly one day be a competent shooter. That gives me enough hope keep going. That, and the last week’s hummingbird.